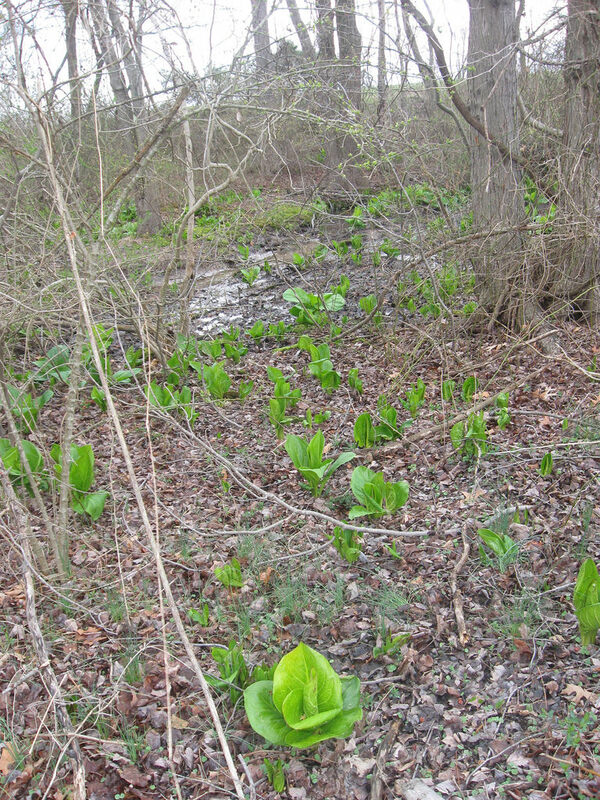 Skunk Cabbage Symplocarpus foetidus (Linnaeus) Salisbury ex Nuttall Synonyms: Polecat-weed. 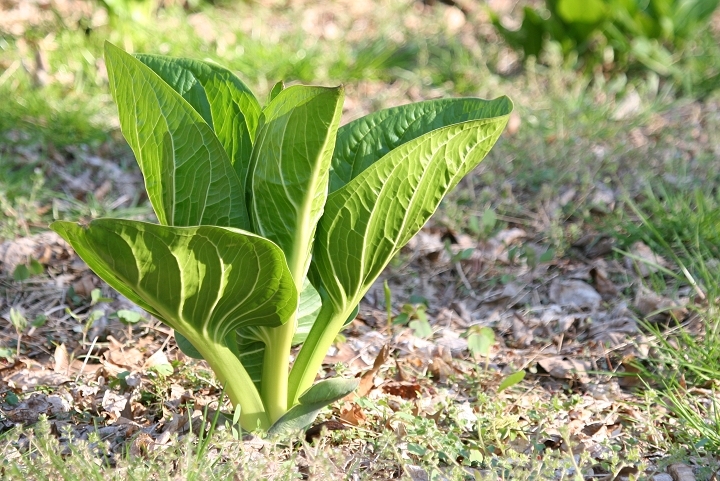 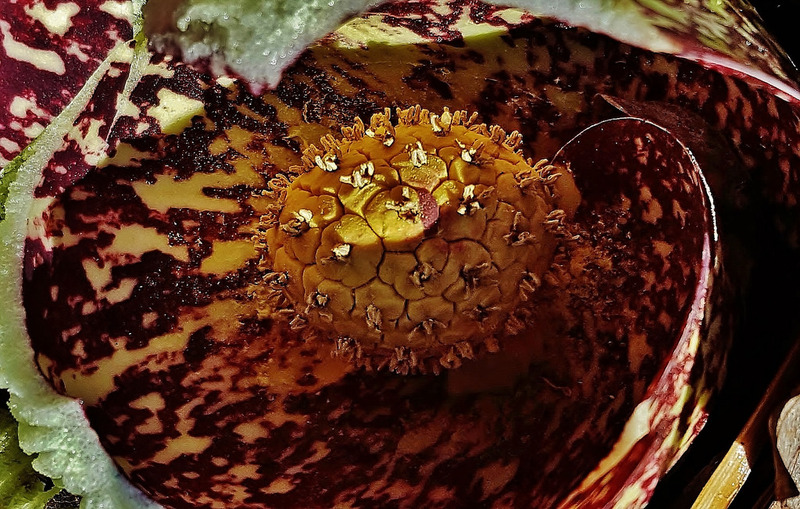 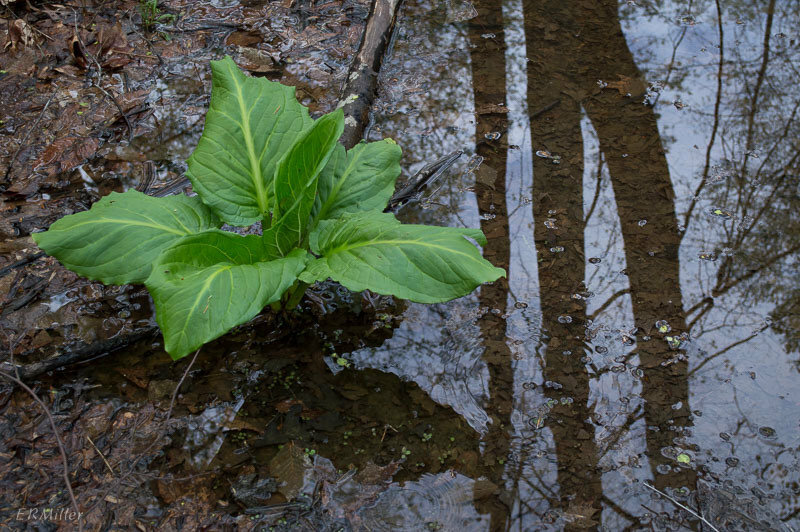 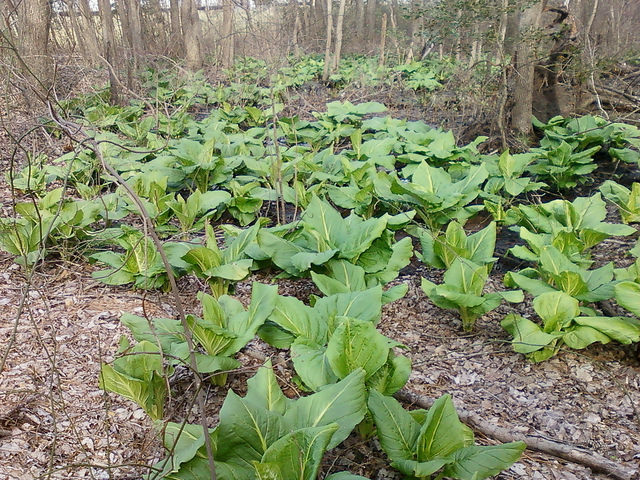 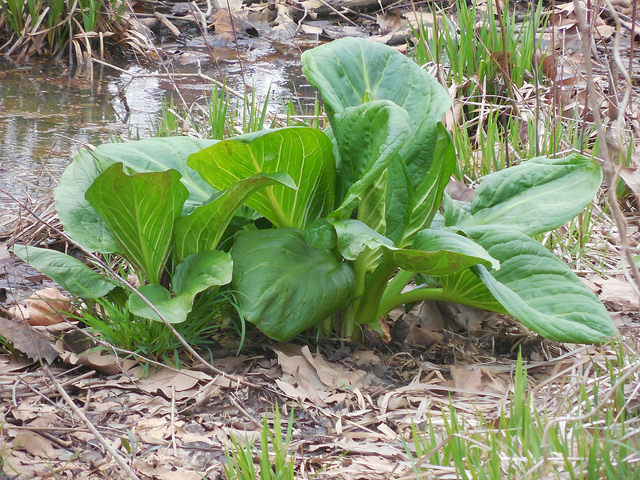 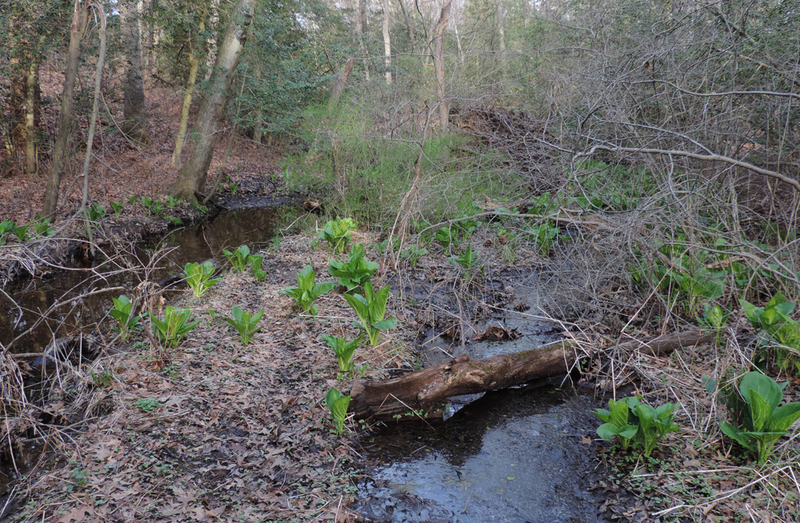 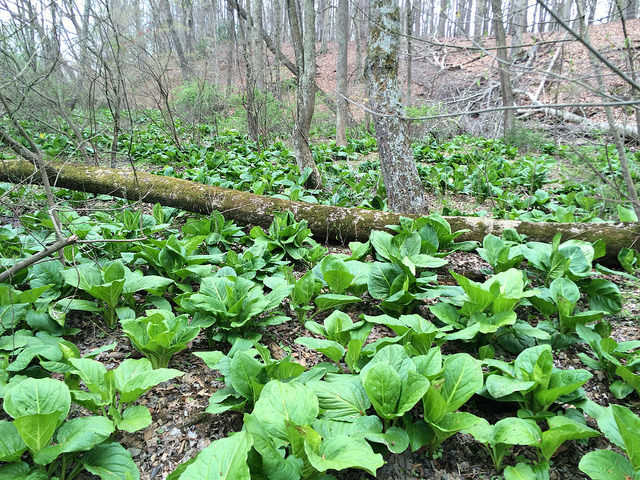 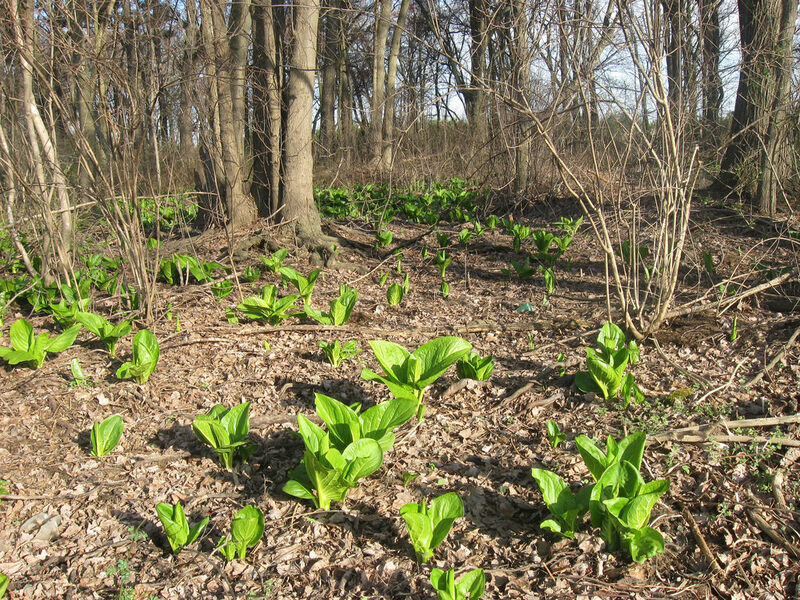 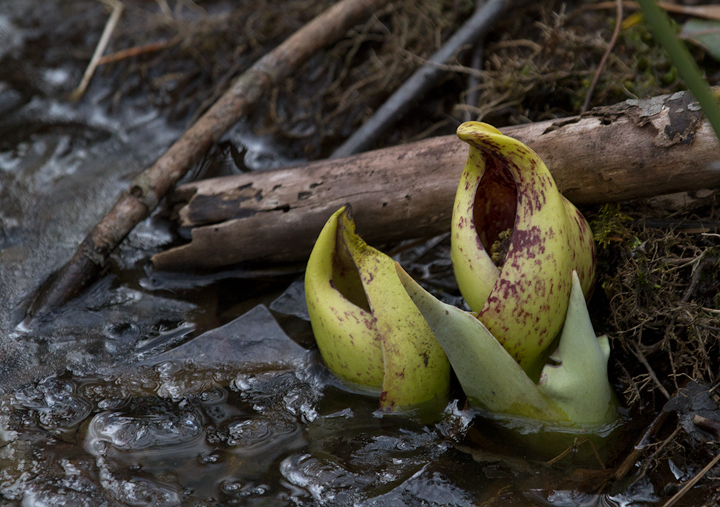 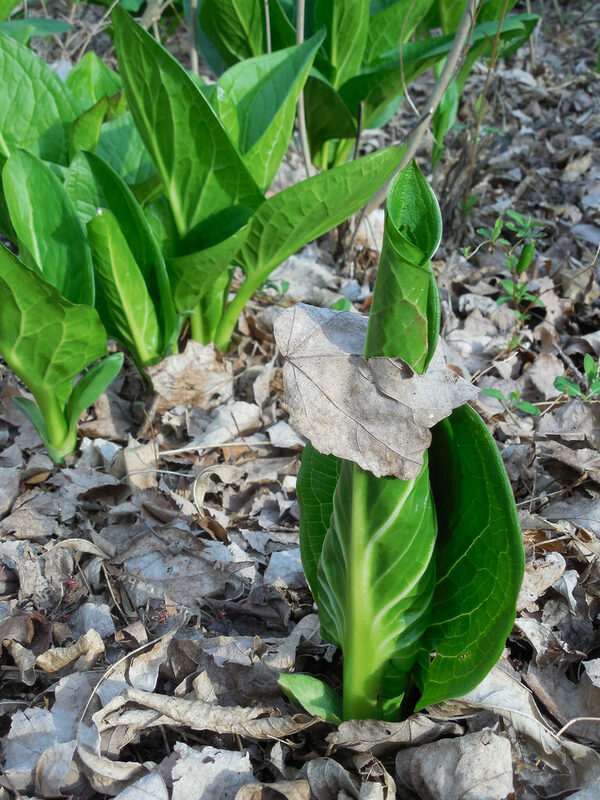 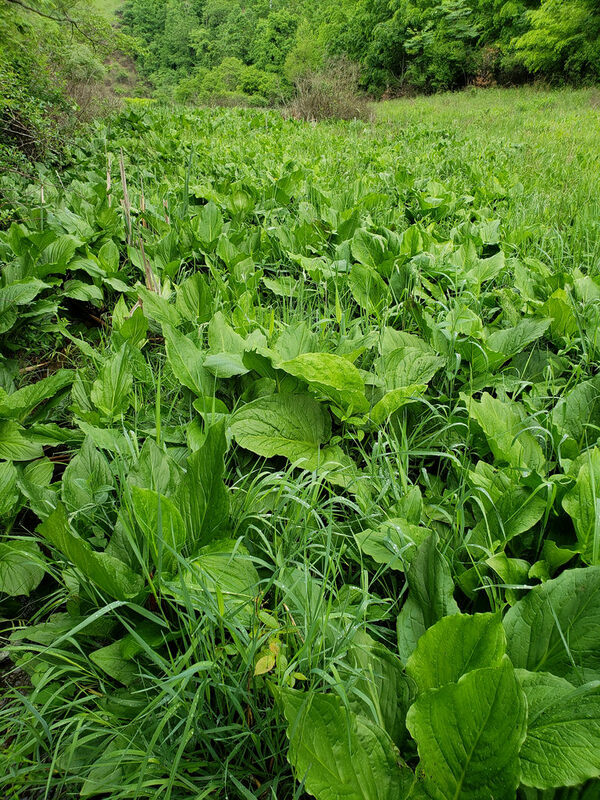 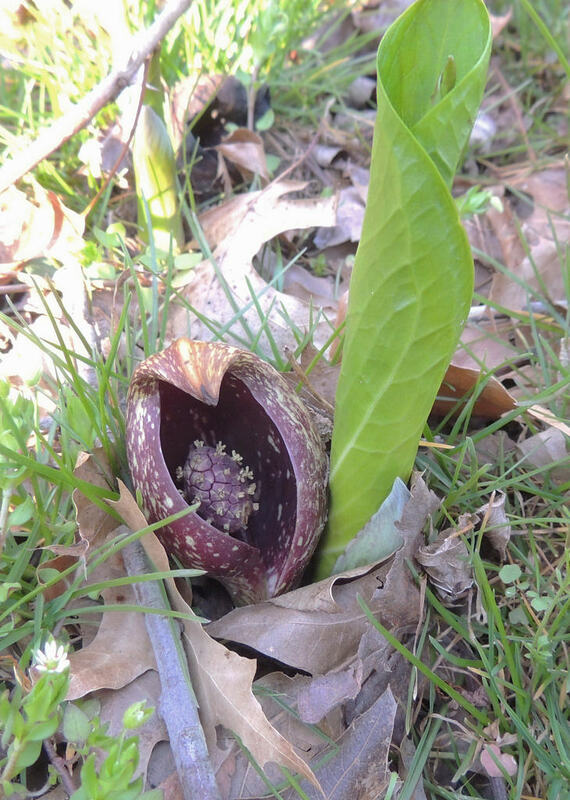 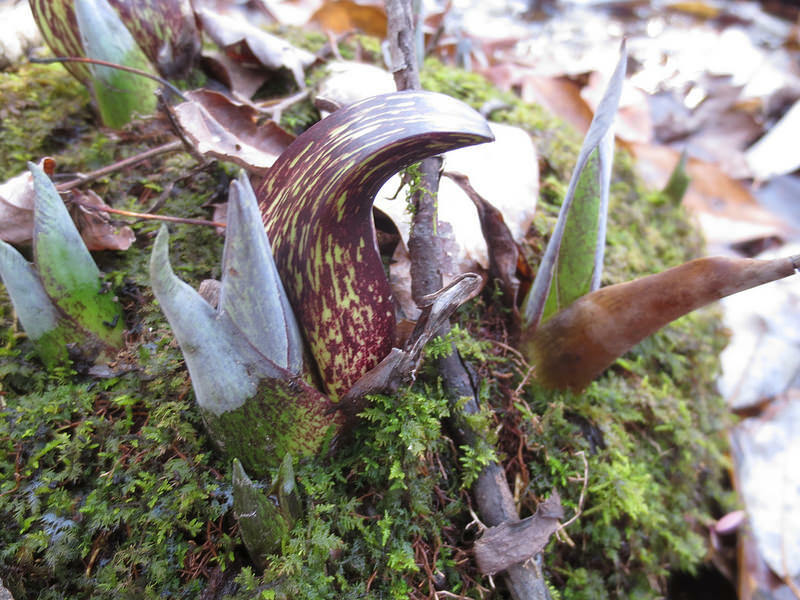 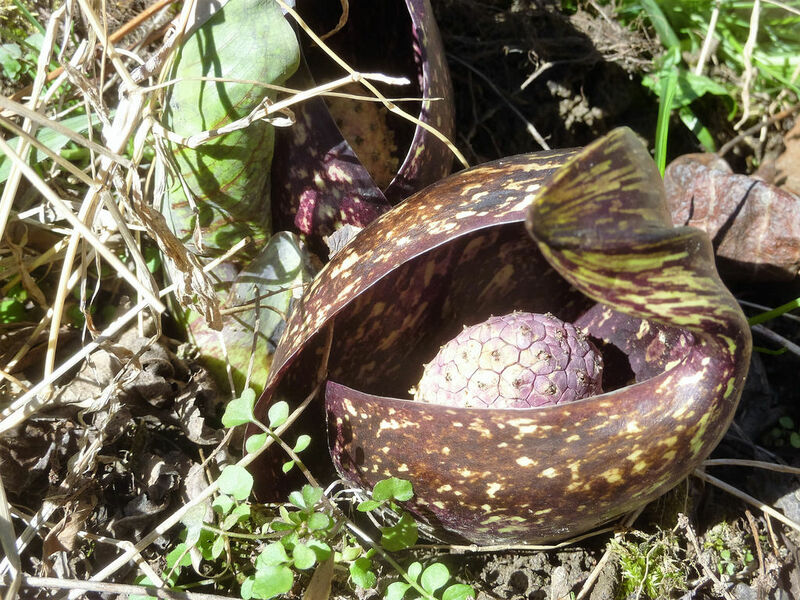 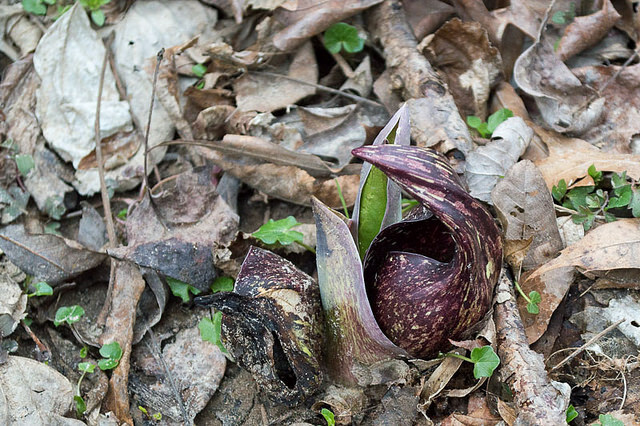 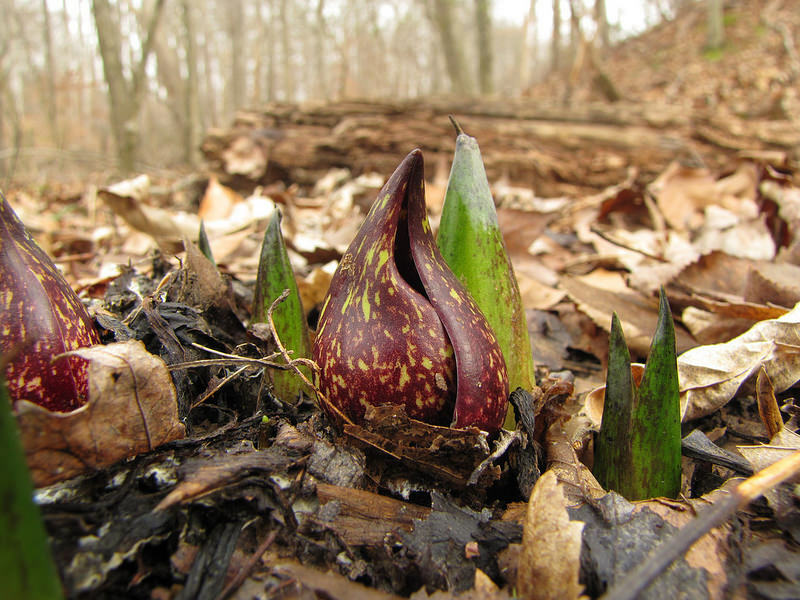 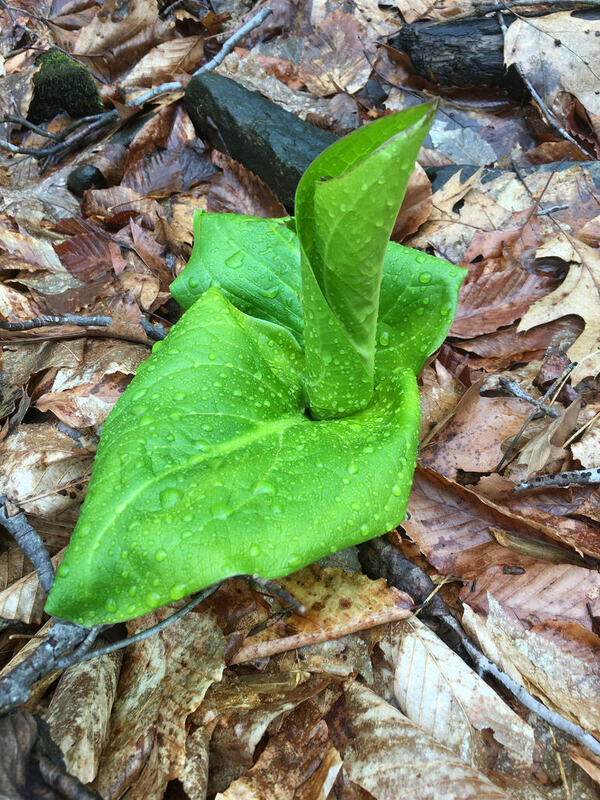 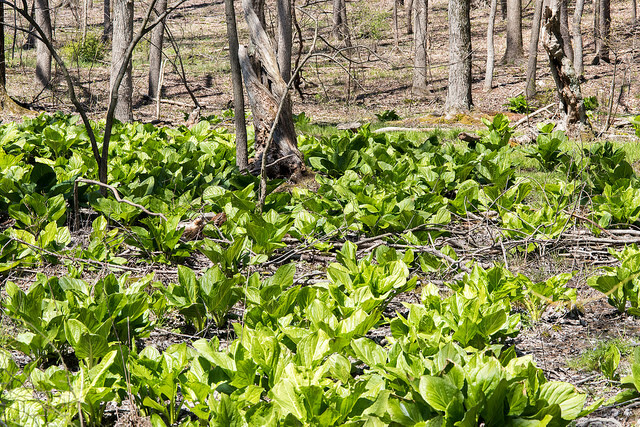 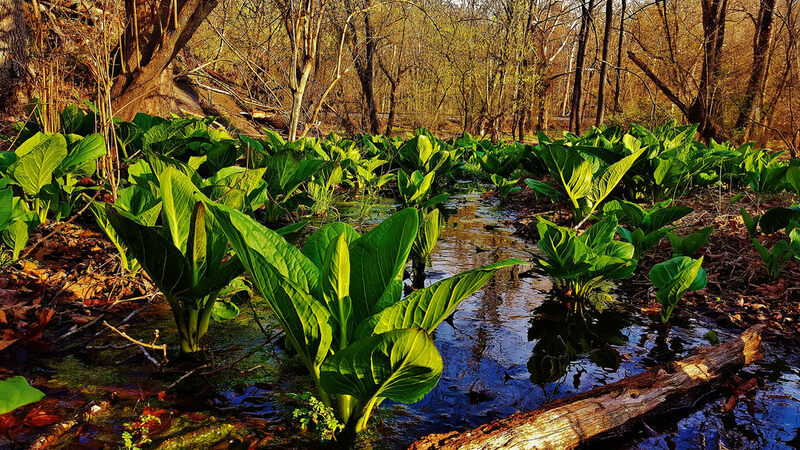 For many East Coast nature-lovers, Skunk Cabbage is a favorite harbinger of spring. 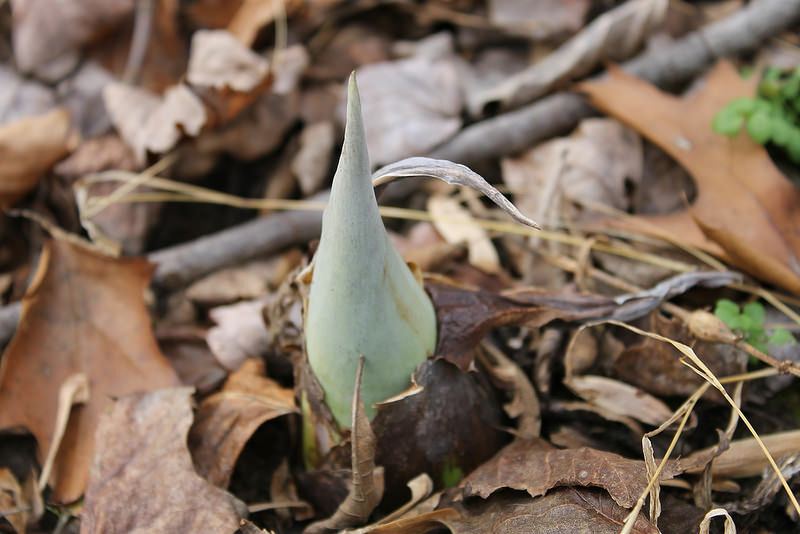 It's always surprising how early it arrives, often emerging in damp wooded areas even while surrounded by standing snow. 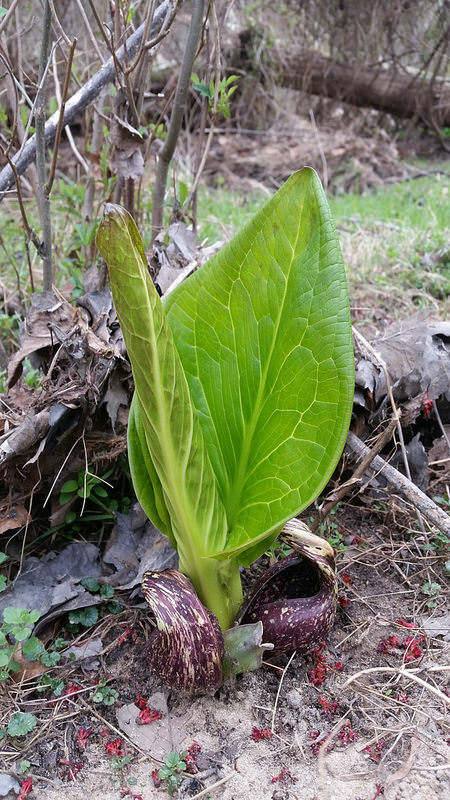 Skunk Cabbage can do this because it is part of a small group of plants that literally raise their temperature higher than the surrounding air! 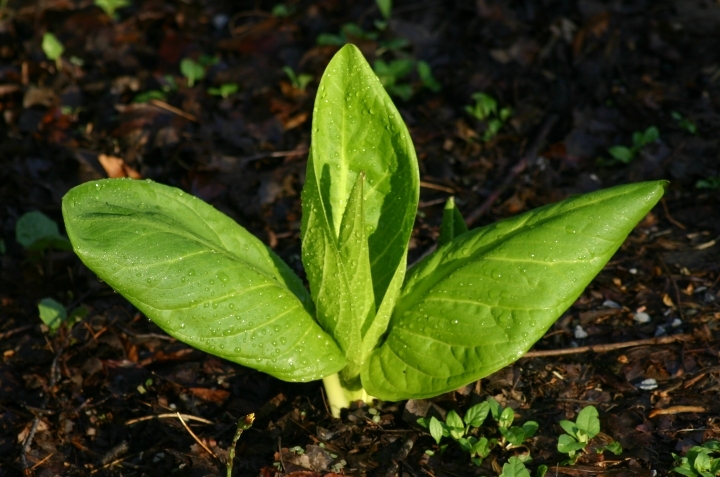 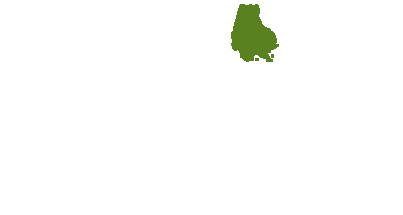 The process is called thermogenesis, and it involves mitochondria generating heat as part of cellular respiration. 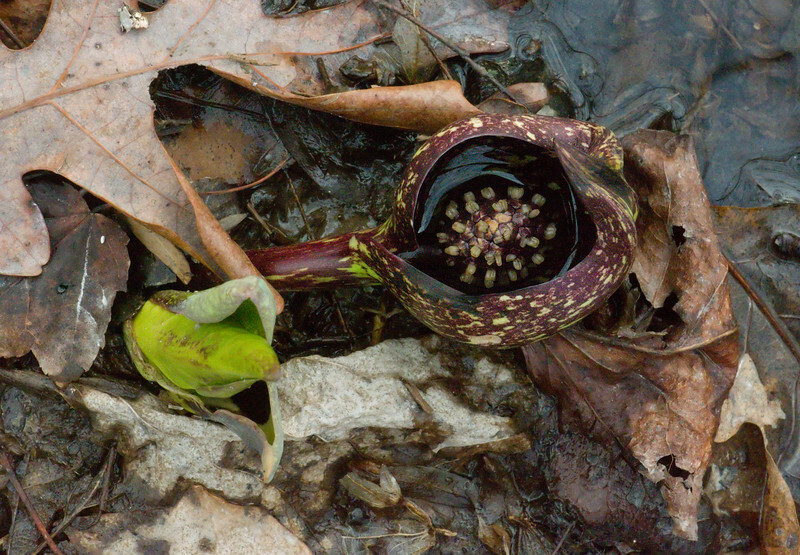 The heat allows the plants to burst forth from still-frozen ground. 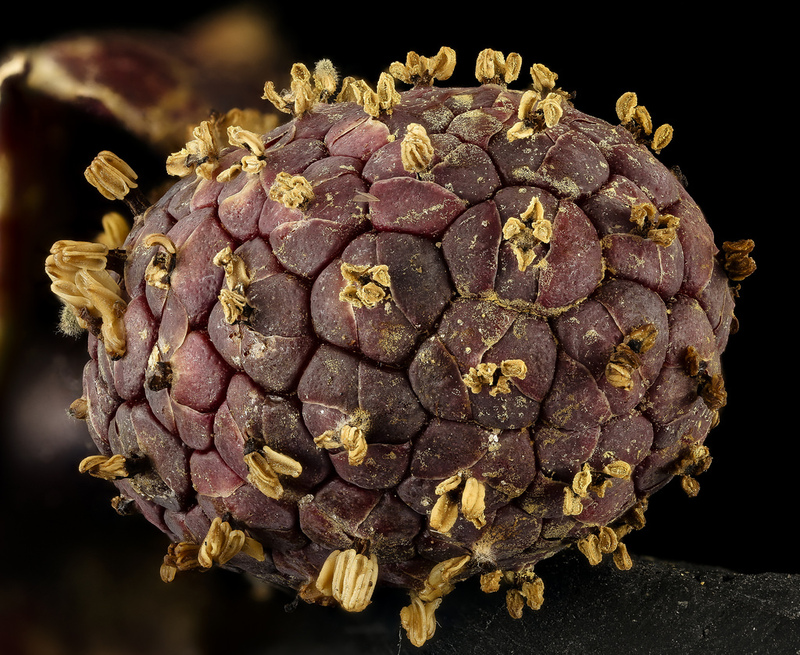 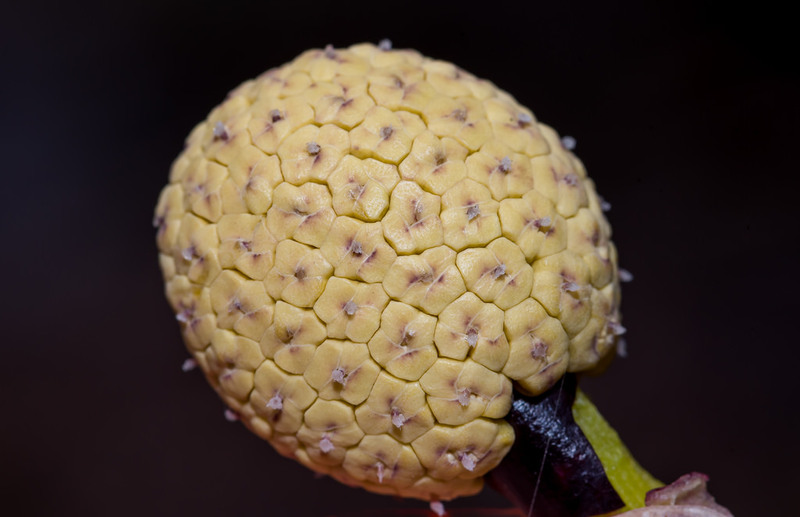 It assists in the transmission of the plants' namesake fetid aroma, which attracts a suite of early emerging pollinators. 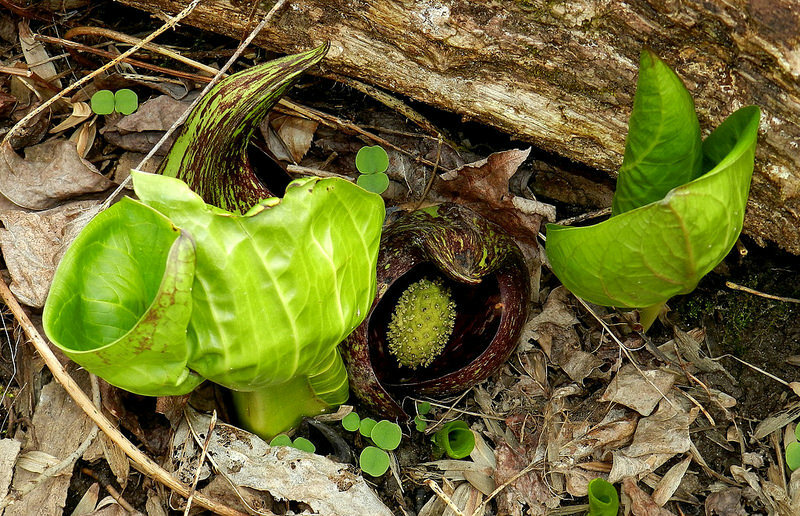 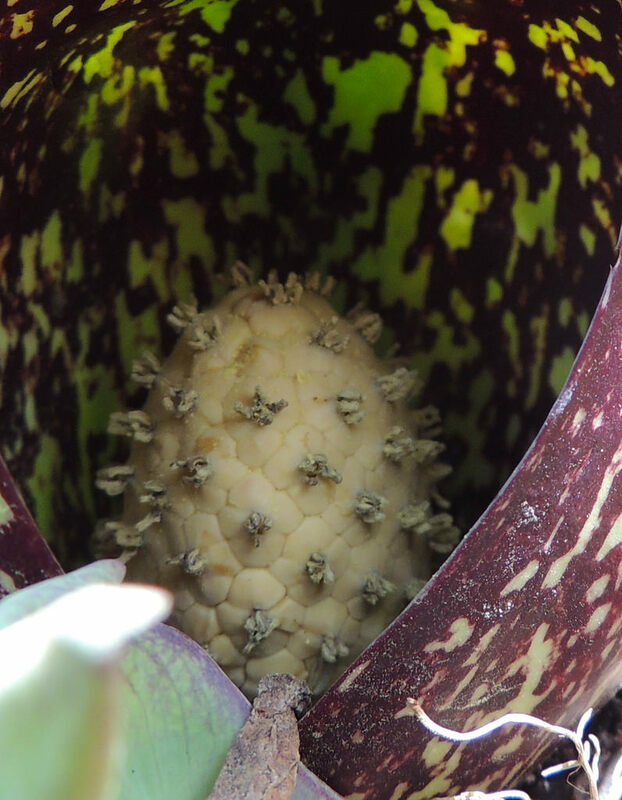 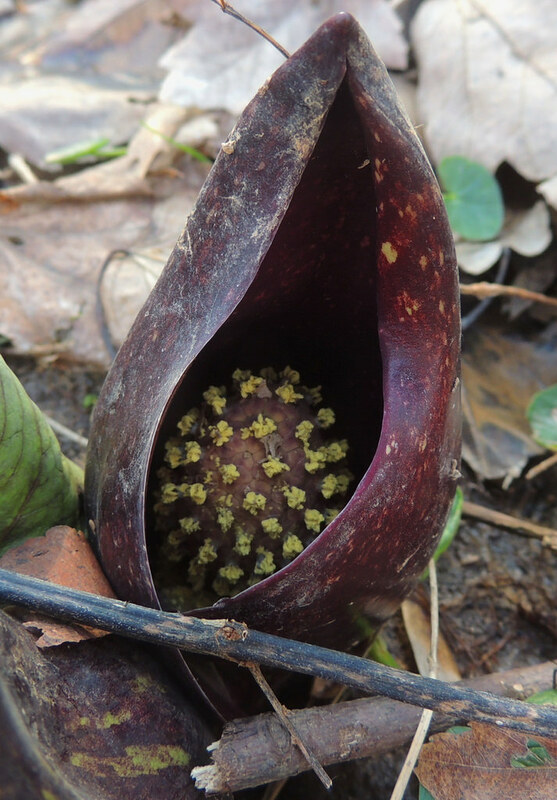 The warmth itself then entices visitors to linger and to visit other Skunk Cabbage plants, further increasing the rate of pollination. 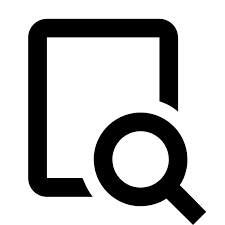 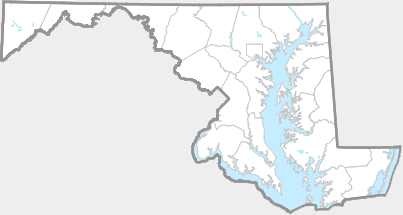 There are 399 records in the project database.